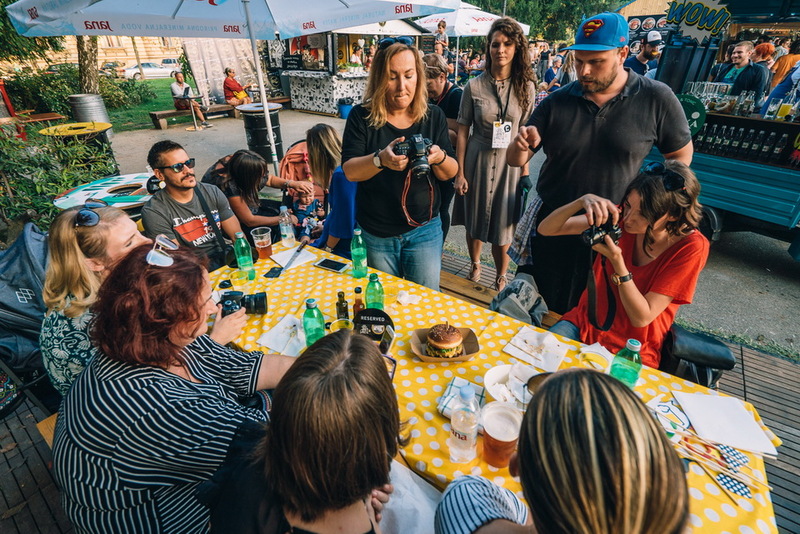 At the Zagreb Burger Festival this year, it is possible to try out more than 70 different burgers produced by even 18 burger masters from Zagreb, Pula and Split. 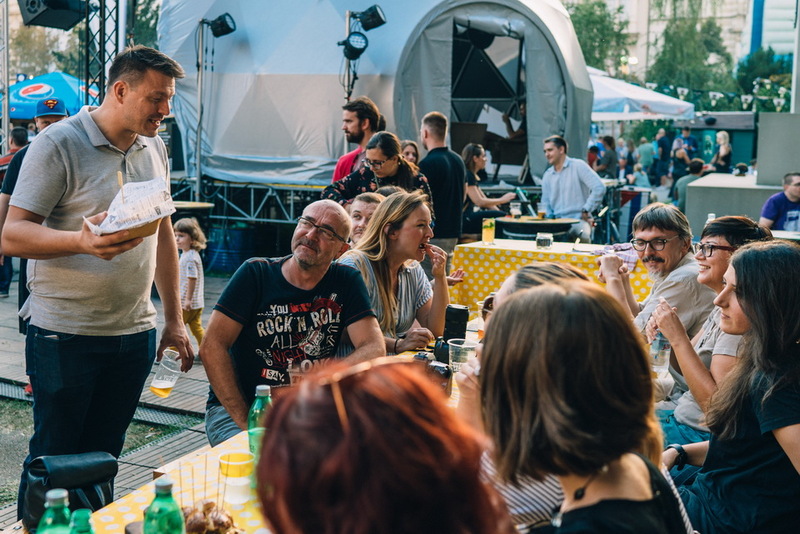 The festival ends on Sunday, 23.9. so you still have enough time to go to Strossmayer Square and we recommend that you do not go for it yourself because you probably will not be able to try more than two burgers since they average contain 200g of minced meat. From experience, it is best that you have four: each burger can split into equal parts, try them more, and stand in the ranks is more comfortable in the company (or scatter in front of multiple chambers). You can use this year too FestApp a mobile application for the order, but sometimes the network is so burdened that it will not be of use to you. Therefore, the nerves in the can and the fishing rod - it is worth it because the burgers every year are better and better. Gourmet treats in crunchy buns with grilled meat or vegan ingredients (this year there are three on offer), all kinds of sauces and surprise supplements. BBQ Special - Hot & Spicy, best rated burger food blogger crew jury, although seasoned with a BBQ sauce of even 26, most of the humorous ingredients, liked the majority female part of a terrible court. Team iz The Burger Bar for himself loves to say they work unpretentious, value for money burgers that are preparing in a sympathetic kiosk from the south side of the fair and they would easily put them in a typical street, fast food restaurant. But when you bite in light brioche toasted with butter and when the lobster egg yolk enriched with fried bacon and covered Cheddar the tastes of flavored buds get tired, and the flavor of fried portions and radishes does not disappear by a few drops of beer - the gray cells are sending a clear message: just eat a damn good burger. "In our opinion, today's burgers are a marginal case. If we look at most places where burgers / hamburgers can be eaten as a form in Croatia, then that is definitely still street food. But some of us slowly try to turn Burger into something like fine dining, though it is still a meal that is fast and almost consumed even faster. If we look at the best steak as a fine variety of fine dining, why not even burger? We invest much more in the burger and we have to take into account the quality of 5-6, and sometimes more ingredients. Meat must be really top-quality, fresh or fresh, and we have long since stopped mowing only the side: for example, we are making apples from the chuck, the ribs and the neck. The baking is the foundation and the end, the bottom halved with the butter must ensure that brioche or light brioche does not break and break under the weight of the burger. We do umaki and even "ordinary" ketchup ourselves as well as mayonnaise and BBQ sauces that can contain over 20 ingredients, and we try to make fresh vegetables from small OPGs. All of this just goes away by the burger of the usual street food dishes. In addition, we at Burger Bar are continually working hard and striving to advance in every aspect, from production and cuisine to serving. Increasing attendance and festival reviews give us the wind in the back and push us forward, and every criticism is readily accepted and we are trying to fix it. 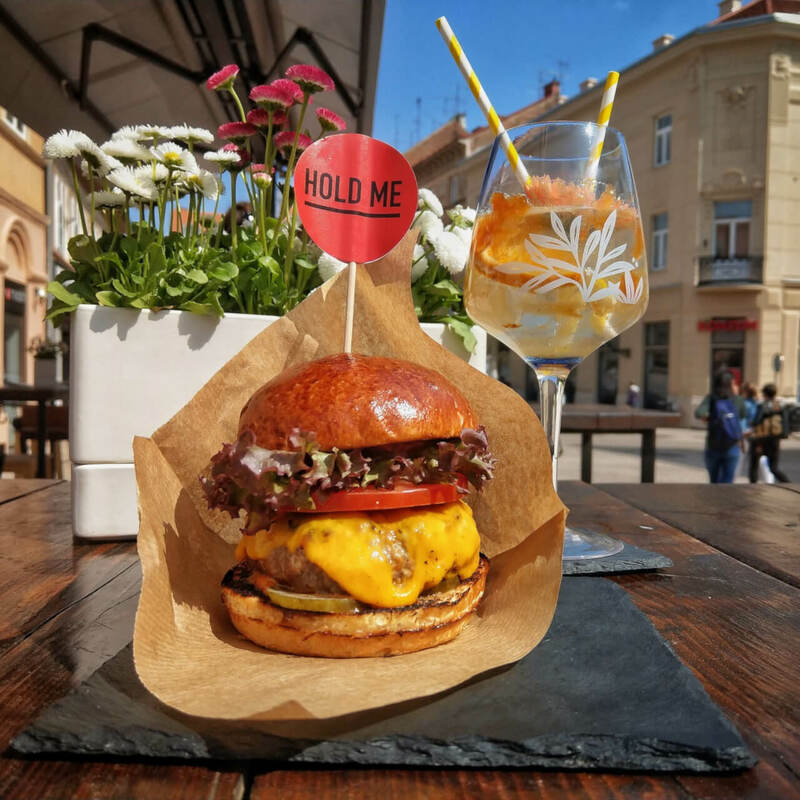 We look forward to the weather before us because burger has become a favorite dish in Croatia and can only prosper, right? " - with a lot of enthusiasm and anger they answered our question from The Burger Bar. "Burger today can be all - food for the poor, street food, fine dining, or something quite special and different. This is what I do with Butter burger which I prepare exclusively in front of the guest with special segments of meat that enjoys the small bites in the following I like to call boutique burger. " 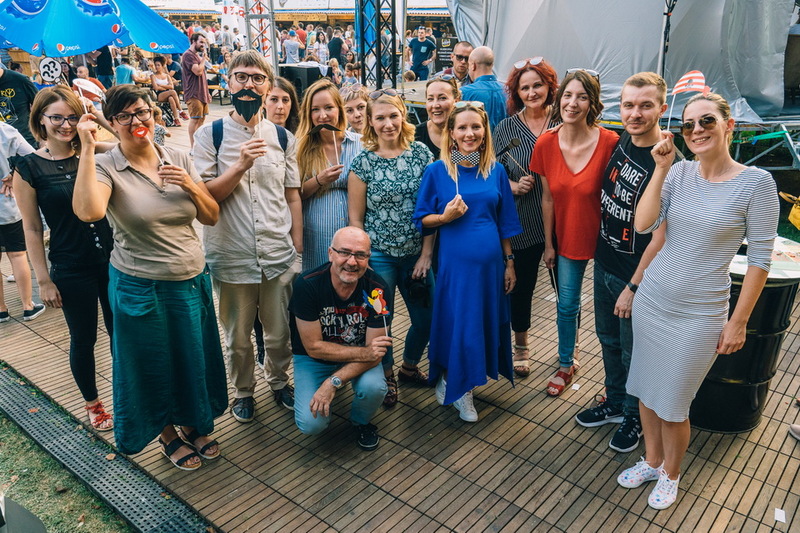 For this year's Festival Zidar has prepared it as a novelty Smokey Dolac, which is on the same minimalistic line: precisely, the finely ground junetina in the smoke is soaked by itself, and with the pancetta mayonnaise it simply breaks into the mouth. The smoked cheese cake from Dolac (the mason likes to buy groceries at local markets) boosts the bitterness, but just as much. Sit down, 5!!! "Our restaurants, both on the food and on the interior, staff and communication, would rank in casual dining, a kind of restaurant that serves modern food in a relaxed atmosphere. " 50 A Burger & Champagne Bar proudly points out her chicken and vege variants with a crunchy knife, and at the Festival and in the appraisal they presented themselves - Lamburgerom. The combination of lamb and hazelnuts is very daring in the areas where beans (without kajmak) are still the main choice of street food but when you know that a team from this burger bar at Zagreb's European Square has been dedicating for some time to combining burgers and sparkling wines and behind there are more and more followers - you can clearly expect unconventional ingredients. Chef Markovic and Lavin are not spoiled by strong spices and unusual combinations, so with ground leek meat between fine rolls put humus on hazelnuts and salsa, onions, tomatoes, Halloumi cheese and cheese baby greens salad. 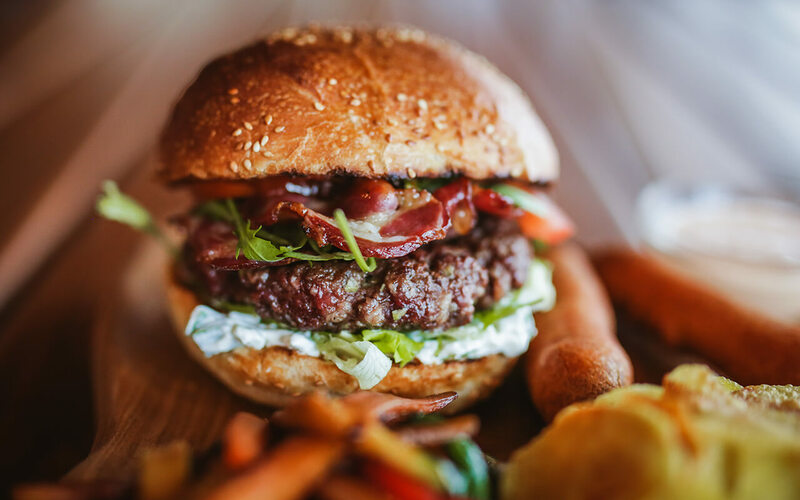 "There are two main burgers that determine whether it is street food or delicious food, and it depends on how to prepare and care to prepare. The most commonly encountered is a thinly sliced ​​apple sauce on a ribbon board that we connect with a quick snack while walking the city, unlike a much smaller, thicker gourmet burger in a steakhouse style that is best cooked so that the interior is warm red (medium rare) or pink (medium). And the famous restaurant Noma prepares burgers, which speaks in favor of the fact that burgers can be on fine dining menus. Today, more and more for the street food variant of burger use 3-4 different pieces of beef (we still have junets) with 30 to 40% fat that guarantees the juiciness, and more and more often freshly, uses the meat that has deprived it for ten or more days in special chambers. 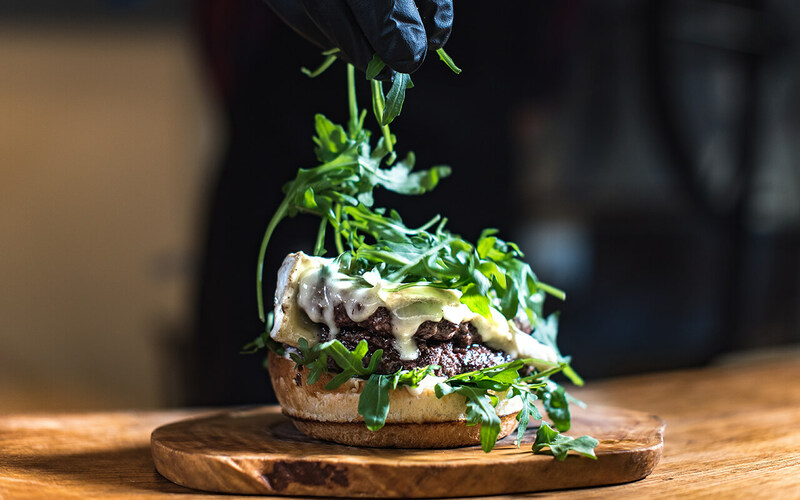 The line between street food and fine dining burger varieties is increasingly invisible " - answered Adena Lavin of 50 A Burger & Champagne Bar - and we would add: in combination with sparkling wines, we are getting closer to the concept adventurous fine dining. 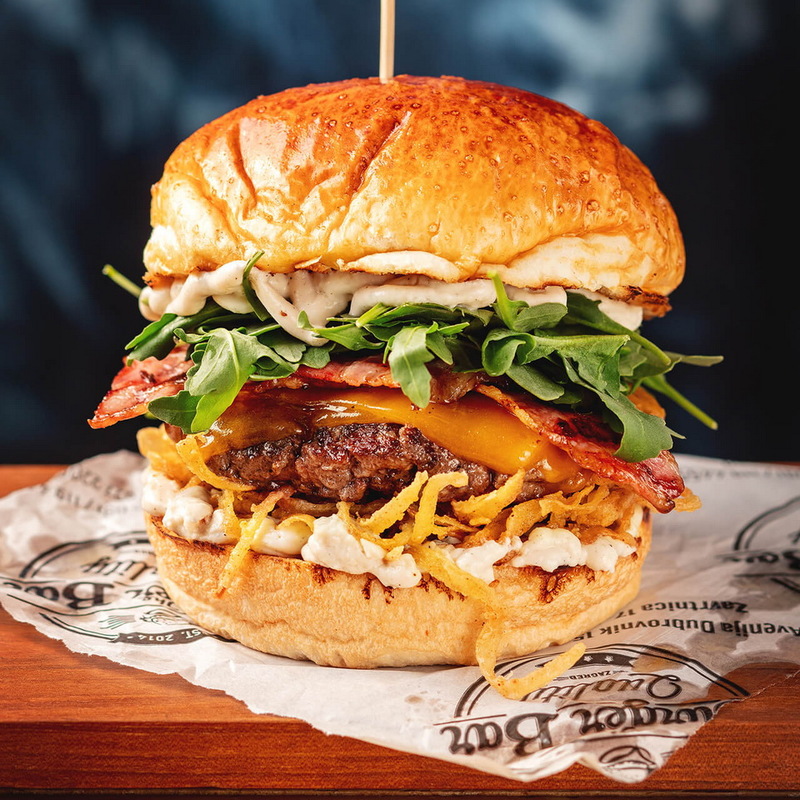 "As we work with the Craft House and we work at the festivals, we realize that both options have their own audience and that a large number of people are increasingly deciding on high street burger offer. Fine dining is there all year long because you can come to the hamburger whenever you want, and the festivals are seen as a pop up version of fine dining just in the whimsical atmosphere, so the burger experience is different. All in all, we are delighted with the commercialization of burgers that insists on quality, not just quantum. " Under the Wall, a vibrant bistro & wine bar that has been eating well for a long time, but drinks as well as having a respectable wine map with the best labels from Croatia and the region, the Festival decided to present with a chef Mate Janković he created a 4 burger mascot with Istrian, Dalmatian and continental (read: Slavonian) combinations. 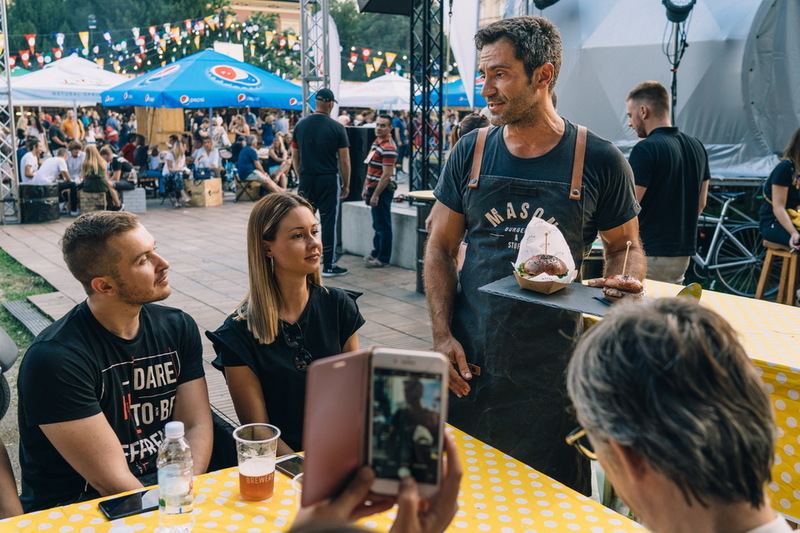 Burgers of intense flavors in baking puddles that are touched in their mouths, but they are not afraid of the same amount of supplements as they are prepared for a more demanding audience - and visitors to the Burger Festival in Zagreb, in the domestic frames are certainly. Personal favorites, Istra burger with goat 's cheese, Istrian sausage, warped mushrooms and truffle mayonnaise you Slavonia dominated by smoked cheese, and milled beef in combination with potatoes, roasted bacon, spinach oil and kernels softened coleslaw salat recalls umami, examples are how burger should look, and even more, what kind of taste should be. 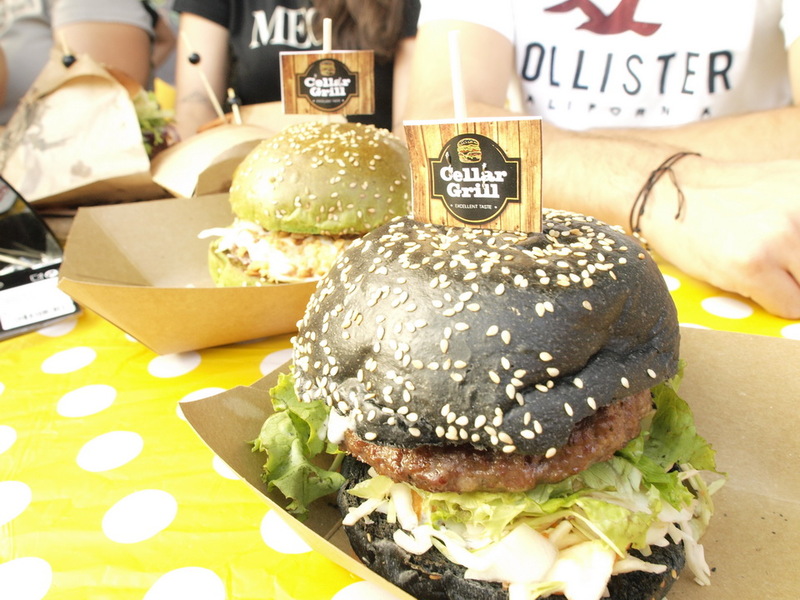 "Burgers, especially at a festival of this type, can be characterized as a kind of upscale street food offer, and the best indicator of how many people have touched the taste of visitors can be seen in the evening. It is impossible to satisfy everybody, but what is good is that everyone can find something for themselves in these events. Burger as fine dining? It is not impossible, but we are far from real dining, so let's not make philosophers a good burger. And here they can really be found. " "Burger - always the primary street food, yet it's timeless junk. Gastro (R) evolution permits passionate artists to present such food and fine dining maps - of course with the " - Nikola was counted and caught a couple of minutes of free time while he was in the Strossmayer Square in Zagreb. And just like the brilliant Mate Jankovic said, every year every year more and more burgers are (this year the biggest positive shift occurred with biscuits) all the better and more interesting. In addition to the above, in the end, here's a brief introduction to what's waiting for you at this year's Zagreb Burger Festival: The Garden Bar & Kitchen s Mark Palfijem, the star of the autumn transition that Mundoakin jersey replaced with Garden's, was presented at the original lamb burger in odd bunnies and even more unusual additions such as chicken salad, spicy harissa sauce and coleslaw salad with grilled yoghurt and menthol. The bull flirty with Latin flavors - we love their guacamole, RougeMarin, besides having burgers in double and a triple variant every day a strange surprise burger (Alija Sirotanović, the burek-burger caused all sorts of reactions on the first day, but marketing was a hit) BarBaQ and their BarbaQ Burger Buddy Smoker is credited with an incredibly fine smoked appetizer, especially in B Burgeru with a chip of port. maredo has remained faithful to traditional flavors, Good Food one burger can feed a four-member family, Kascha is proud of a burger with smoked bass mozzarella, Burger Factory, Kitchen & Grill Plac i Spiro attract red, green and black biscuits, and masters from the sea from Split Toto's Burger Bara They are proud of dark burgers and crunchy batata (their vegan version of our food bloggers was the best in that category).